Please note your booking dates and confirmation thereof will be sent to you via email. Your booking has only been validated once you have received the confirmation of booking from us. Mizingani Seafront is a newly built hotel along the Indian Ocean where the building is unique and historical, it was constructed for royal honeymooners in 1865, later the house was then turned into the Custom House in 1928 but due to poor maintenance, it deteriorated and finally had to be evacuated. 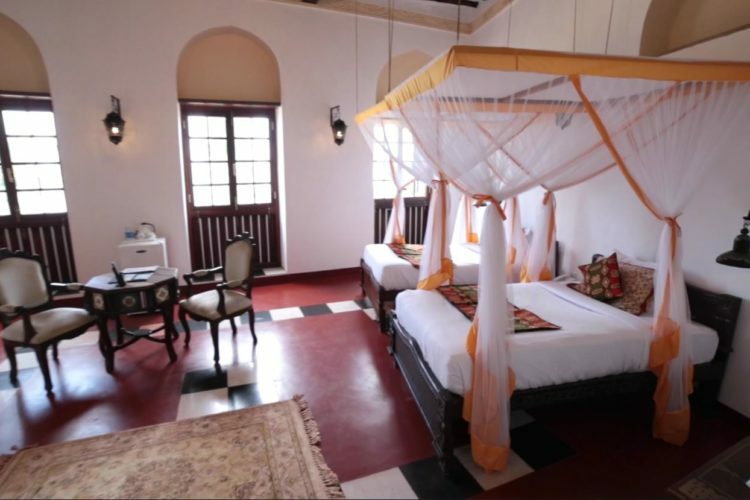 The former Palace is now restored to its former glory with unique pieces of furniture, four-poster beds, antique clocks, cupboards and marvelously decorated and designed to make you feel like a sultan.